Saudi Arabia had agreed to let Turkish authorities search the Kingdom’s Istanbul consulate after prominent journalist and Riyadh critic Jamal Khashoggi went missing last week. Turkish officials had announced on Tuesday that they will search the Saudi Consulate in Istanbul to investigate the disappearance of Jamal Khashoggi, the Washington Post contributor who disappeared after entering the embassy on October 2. WHAT IS THE CONSULATE HIDING? It is believed that Khashoggi was killed inside the consulate. Saudi officials have denied any foul play in Khashoggi’s disappearance, insisting he left the consulate and that allegations to the contrary are “baseless” and “outrageous.” Even though Saudi Arabia said Khashoggi left the consulate on Tuesday after completing his paperwork, there is no evidence that he left the building. 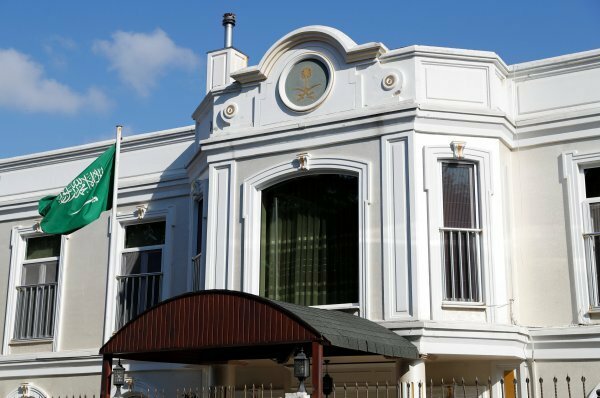 Saudi Arabia had agreed to let Turkish authorities search the kingdom's Istanbul consulate. According to the latest information, Saudi Arabia Consulate postponed the search for unknown reasons.